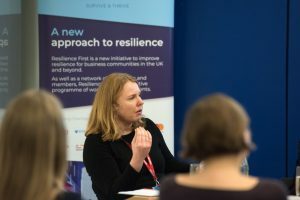 As their latest founder champion, the Resilience Shift hosted the briefing. 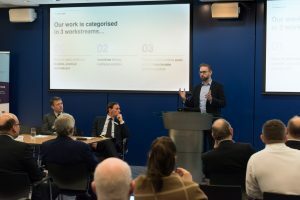 Will Goode, Programme Manager, introduced our work at the opening of the session, together with Resilience First’s Robert Hall. 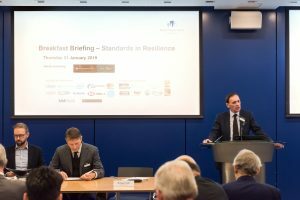 The briefing looked at how standards are being developed for both public and private sector activity. 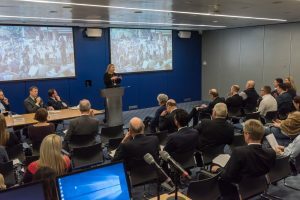 Two guest speakers represented these different aspects. 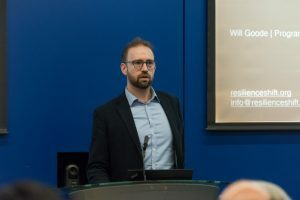 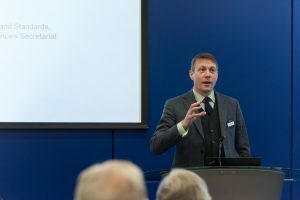 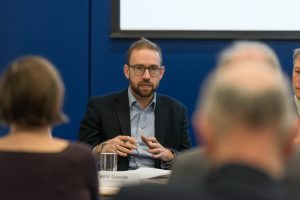 Dr Rob MacFarlane, Deputy Director of the Civil Contingencies Secretariat (CCS) at the Cabinet Office, took members through what ‘good’ looks like in multi-agency resilience capabilities. 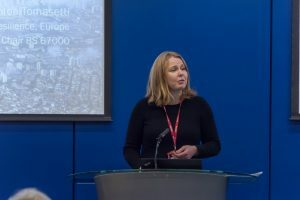 Caroline Field, Head of Resilience at Thornton Tomasetti, spoke about the City Resilience Standard BS67000, as Chair of the committee that is developing the standard. 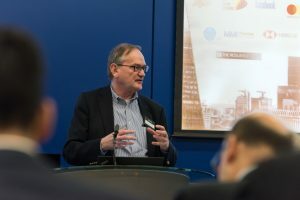 City resilience is important: 70% of the world’s population will live in cities by 2050. 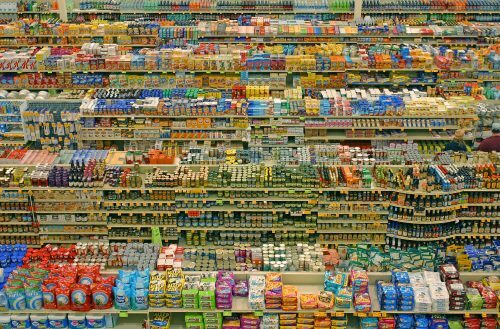 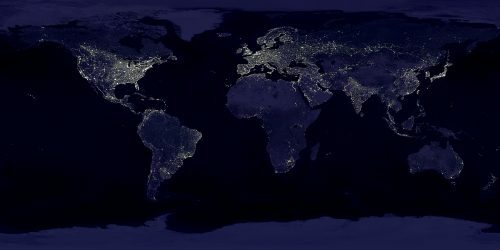 Three-quarters of the world’s energy is consumed in cities, and they produce 80% of greenhouse gasses. 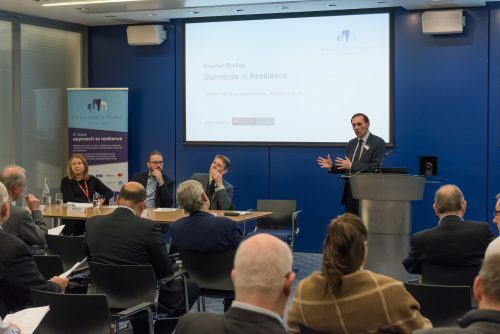 The proposed standard provides a framework to organise, assesses, plan, deliver and continuously improve resilience, ultimately allowing for an evaluation of the maturity of a city’s resilience. A lively panel session included questions on public and private sector joint working, how the UK compares internationally on resilience and readiness, and likely timescales to see improvements or changes. 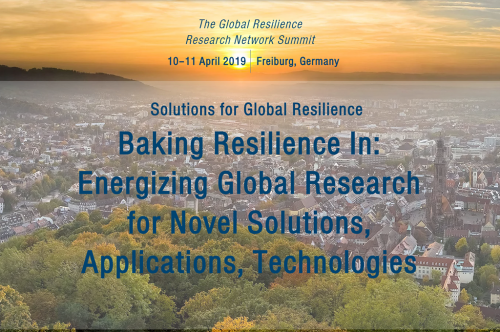 For more detail from the speakers’ presentations, please see Resilience First’s event report.